The Palace Hotel Monte Real is a deluxe, top-of-the-range establishment offering a wonderful blend of class and finesse set in a beautiful contemporary building. 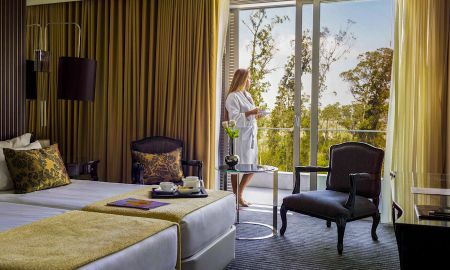 With the Monte Real Thermal Park attached to the Palace Hotel Monte Real, guests can enjoy a broad range of exclusive services that will guarantee a relaxing ambiance and an enjoyable stay. 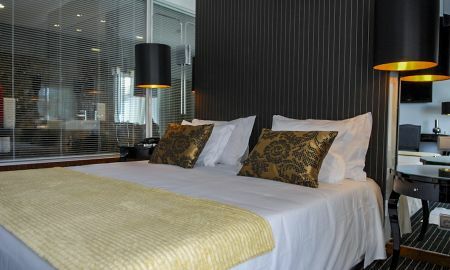 The hotel has a total of 101 rooms and 5 suites. 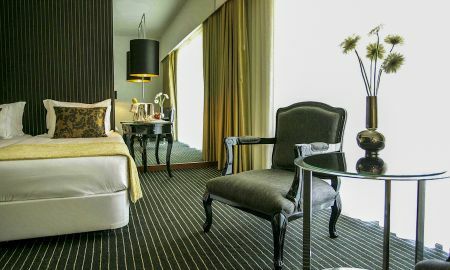 Some rooms possess an aura of nostalgic grace and glamour combined with modern décor in an old building, whilst others exude vitality and contemporary-style furnishings. The hotel boasts its own outdoor swimming pool and bar, gardens and parking. 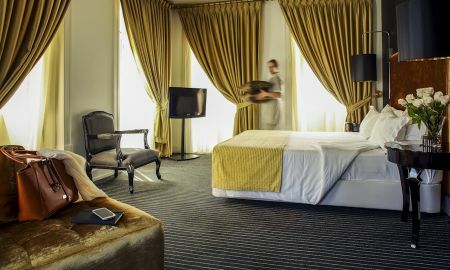 Set in the old town of Monte Real, the Palace Hotel Monte Real is a 20 minute drive from the city of Leiria. The area offers wonderful transport connections and just a short walk from the hotel, guests can find the Vieira, Pedrógão and Saõ Pedro de Moel beaches.